We make every attempt to help you feel welcome, comfortable, and that your holistic health needs are being carefully met. We ask for your respect and consideration of the following policies in return. Reiki healing sessions are scheduled by appointment only. 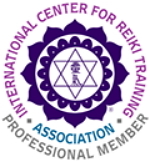 Reiki classes are posted on the Schedule page, subject to change. Professional groups who wish to schedule a specialized class geared towards their own profession or at their own venue may contact Diana Charles to arrange that. Services are offered by appointment only. Same day appointments may be available but are not guaranteed. Please consider booking well ahead of time to get the times that you need. It is also best to book your follow-up appointments at the time of your current session. Unanticipated events happen occasionally in everyone’s life. If you must cancel an appointment for any reason, 24 hour advance notice is required. This allows the opportunity for someone else to schedule an appointment. If you do not show up for an appointment for any reason, full payment for the lost session is expected. Appointment times have been arranged specifically for you. If you arrive late, expect that your session will be shortened to accommodate others whose appointments follow yours. Regardless of the time remaining, you will be responsible for paying for the full session. Payment is due at time of service. We accept cash, check, Visa or MasterCard. If you are receiving a discounted service, please pay by cash or check. Gratuities are appreciated but not expected. Service and class rates are subject to change without notice.